The water level can fluctuate greatly following extremely heavy or extended (multiple consecutive days) periods of heavy rain. If we recently received heavy rain please check the above link for real-time water levels. When the water rises is a great time to paddle around in the trees. 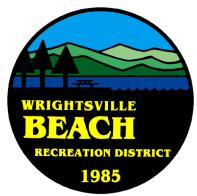 For more interesting USGS data click HERE for the Wrightsville Dam discharge amounts in Gallons Per Second.